Globally, the agriculture sector contributes 13.5% of the anthropogenic GHG emissions; 11% of which comes from irrigated rice in the form of methane and nitrous oxide. The figures may seem small but not so if we are looking at rice-producing countries where rice production contributes significantly to total national GHG emissions. 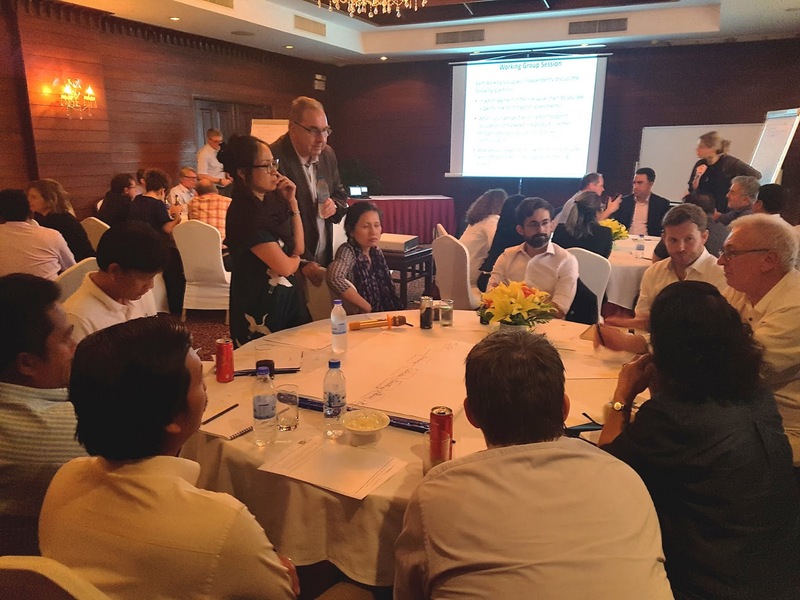 “We aim to strengthen our links with the private sector to increase investments into low-emissions agriculture, and work with members of the Sustainable Rice Platform (SRP) to identify business opportunities with mitigation (co-) benefits,” states Dr. Sander. The workshop, which was held on 23 January was a side activity to the SRP Plenary Meeting and General Assembly. Thus, it was a fitting opportunity to touch base with SRP members and gauge their perceptions on varying concerns like the role of mitigation assessments and the labeling of carbon footprints on rice products and its implications on business cases. Part of the discussion aimed to ascertain the felt needs of private sector actors, gaps they might face in implementing low carbon farming systems, and tools and interventions that might help them overcome those gaps. These activities are being implemented in support of the broader goal of promoting global best practices and scaling of low-emissions technologies among private and public sectors that is being implemented by IRRI and UN Environment, with support from the Climate and Clean Air Coalition (CCAC) and the CGIAR Research Program on Climate Change, Agriculture and Food Security (CCAFS). Forward looking, this initiative aims to integrate low-carbon rice value chains into corporate strategies and include the private sector in Nationally Appropriate Mitigation Actions (NAMA) in rice in countries in South Asia and Southeast Asia.